Many people suffer from unruly hair that takes way too long to style. Mornings can be a real drag when you have to get up half an hour early just to style your hair. Luckily, there is an effective solution. At Salon Mirror Mirror, we specialize in Keratin Treatments and Brazilian Blowouts. Our licensed, experienced hair stylists are skilled at achieving smooth and manageable hair for all. The following are some frequently asked questions about Keratin Treatments or Brazilian Blowouts that you may find useful if you are considering investing in a treatment of your own. Through the use of breakthrough bonding technologies, these customizable smoothing treatments actually improve the hair by creating a protective protein layer around the hair shaft to eliminate frizz and smooth the cuticle. How long does a Keratin Treatment or Brazilian Blowout last for? The great thing about these treatments is that it can last up to 4 months. However, many factors play into the longevity of your treatment. Lifestyle factors such as how often you sweat, shampoo and swim can all effect how long your treatment lasts. To ensure best results, we always recommend that you use a sulfate and sodium chloride free shampoo and conditioner after you receive your treatment. Should I get my hair colored before or after my Treatment? If you are going to get your hair colored, always have it colored before your treatment. These treatments will act as a protective layer around your hair follicle, not letting any color in or out. After you receive your Keratin Treatment or Brazilian Blowout you can enjoy a long-lasting color as well. You can expect, shinier hair with much less frizz. The ultimate benefit of these treatments is hair that is more manageable. Essentially, your styling time will be cut in half. This can transform your hair for the better. At Salon Mirror Mirror, our hair stylists are licensed and trained. We always treat each client with a careful attention to detail so as to do the best job possible each and every time. 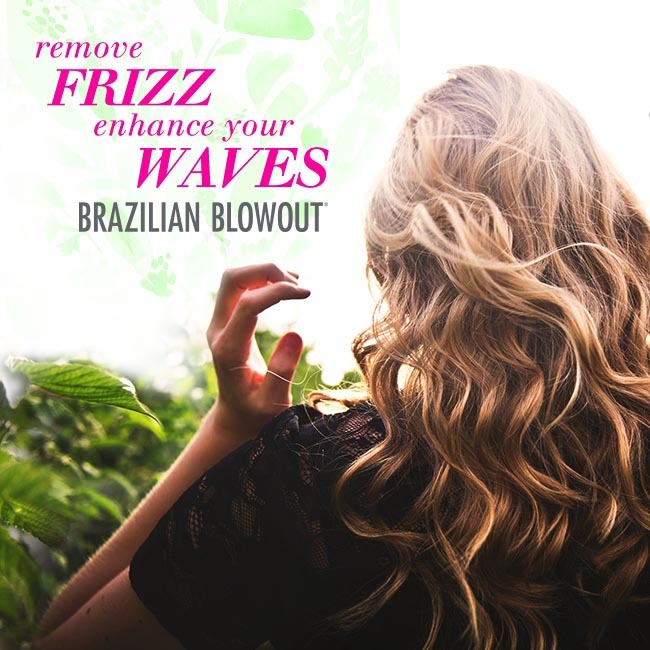 We can’t wait to help you transform your hair into shiny, frizz free magic!